Learning theory is not new. In fact, if anyone remembers Ivan Pavlov the Russian Physiologist and his dogs you will have already come across learning theory whether you were aware of it or not. If you haven’t heard of Pavlov and his dogs – you should go and do a little research. 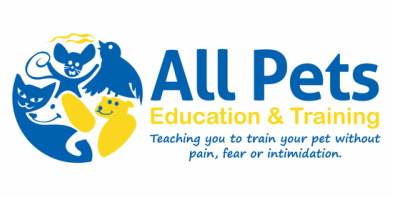 Learning theory can be a very widely used term, however it is only important that you understand how Classical Conditioning (changes an emotional response) and Operant Conditioning (changes a behaviour) apply to you and your ability to train an animal. ‘Learning’ is about how an animal’s potential for a behaviour changes with experience. ‘Training’ describes the techniques used to ensure that learning comes about in a predictable way in response to human intervention. Classical conditioning – this is often known as Pavlovian Learning – this is learning that involves one event predicts another that causes an instinctive or emotional response. This is what happens when you condition a clicker – the noise initially means nothing to the animal, however when paired repeatedly with food, the clicker pretty soon causes the same emotional response as the presentation of food. This is called a conditioned stimulus. Operant conditioning – this is often known as associative learning and involves learning as a result of one’s actions. The animal learns to associate its behaviour with a particular outcome. Learning theory states, behaviours that are rewarded (reinforced with food, attention, play) are more likely to recur, and those that are ignored (a form of punishment) are less likely to recur in similar situations. Operant condition is often described in 4 quadrants. In Operant conditioning, “positive” and “negative” do not have their popular meanings, instead positive refers to addition of something, and negative refers to the removal of something. Lets have a look at the 4 quadrants of Operant conditioning. o Is achieved by adding something to increase the likelihood of the desired behaviour recurring in similar circumstances. This is usually a treat. o Is achieved by taking something away to increase the likelihood of the desired behaviour recurring in similar circumstances. This is usually something unpleasant, such as pressure from check chain is released when dog is in desired position. o Is achieved when something is added to decrease the likelihood of undesired behaviour recurring in similar circumstances. This is usually something unpleasant such as a loud noise or electronic shock collar. o Is achieved by taking something away to decrease the likelihood of the undesired behaviour recurring in similar circumstances. This will usually be something pleasant, such as stopping a game, or removing attention when puppy mouths you. Reinforcers used in positive reinforcement can be divided into Primary reinforces and Secondary Reinforcers. A primary reinforcer is anything that the animal finds naturally rewarding, we usually use food. A secondary reinforcer is anything an animal has to learn is rewarding. We usually use a Clicker. The clicker is a device which marks a behavior very precisely – just like taking a photograph. The clicker is more precise than verbal (Good dog), or physical markers. The clicker acts as a bridge between the desired behaviour and the reward. Find information on the Four D's of Training here. This is another important concept to understand and utilise so as to increase your training success. ​And some other links including the importance of consistency, using food in training, using cues versus commands and setting your learner up for success. Reid, P., 1996. Excel-erated learning. 1st ed. Berkeley, Calif.: James & Kenneth.